Ghana is known to be one of the friendliest and most interesting countries in West Africa, and for very good reason. Welcoming people, English-speaking, historical castles, sunny beaches, lively cities and jungles teeming with birds and wildlife — what is there not to love? 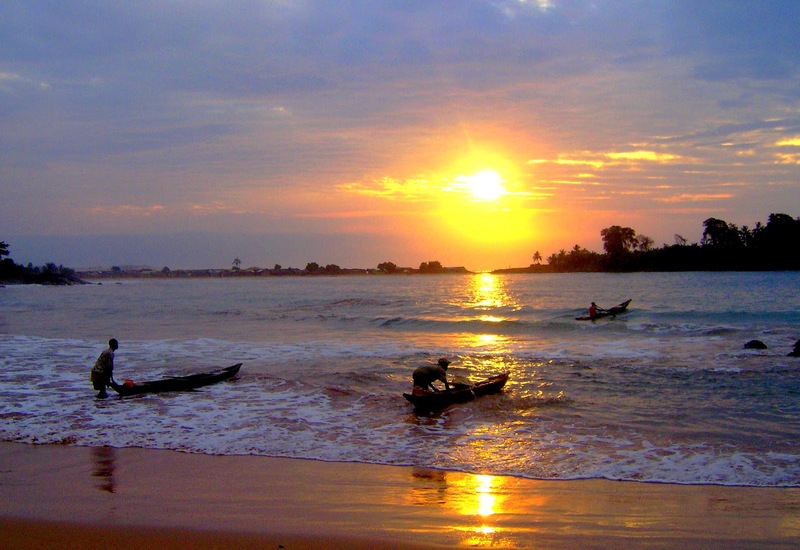 We’ve compiled the top 7 reasons you should have Ghana on your travel radar! One of the most culturally significant spots in Africa, the Cape Coast is a stunningly situated as it historic. 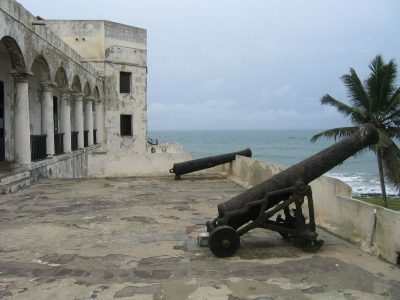 The Cape Coast Castle is one of several UNESCO World Heritage slave forts along the southern coast of Ghana and highlights the history and brutality of the slave trade like nearly no other place in the world. 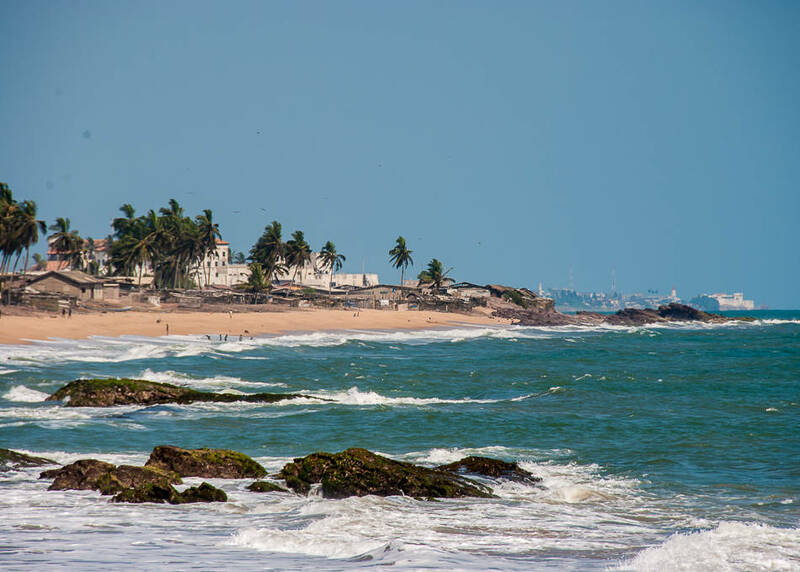 Outside of the slave castles and the sobering look into the past at the castle, there are beaches and the town is a charming look into the lives of local fisherman making a living in this beautiful area of West Africa. Located not far from Cape Coast, and 93km west of Accra, Elmina is a charming and picturesque fishing village with a long history and beholds one of the country’s biggest and most sinister attractions: St George’s Castle. Originally built by the Portuguese in 1482, it was taken over by the Dutch 150 years later and became the headquarters of their West Indies Company for the following 250 years. Exports such as gold were soon replaced by slaves and a walk through the dungeons will give you an idea of how gruesome a trade it was. Established in 1958 and Ghana’s largest national park, Mole is well-known to the well-traveled and to wildlife/birding groups that come to see and photograph its estimated 93 mammal species, 300 species of birds, 9 amphibian, 33 reptilian and several insectivorous species among the stunning terrain of Guinea savannah and veined with streams and rivers. 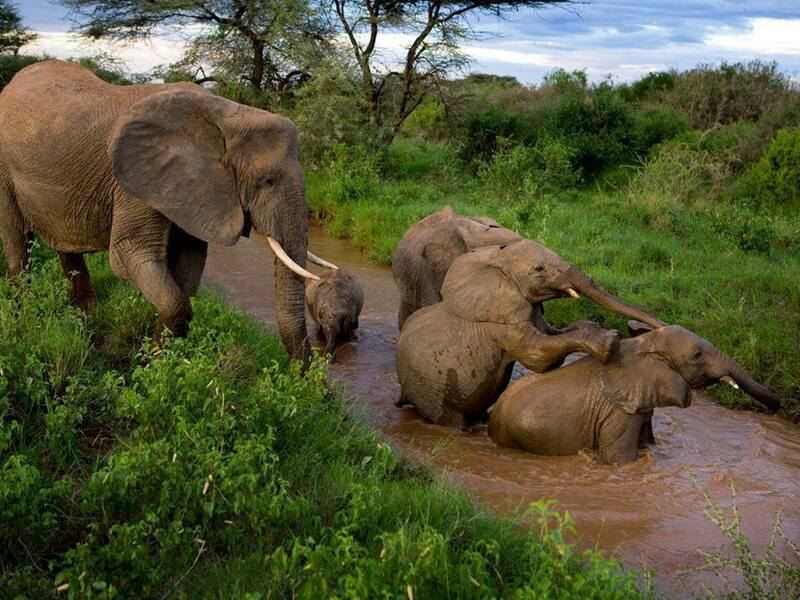 It is also quite possibly the most affordable place to go on safari in all of Africa and houses some very well-maintained lodgings. With a population around 2.1 million, Accra is undoubtedly the beating heart of Ghana. Love it or hate it, Accra leaves a lasting impression and you will be hard pressed to not find yourself falling for it’s frantic charm. Chock full of interesting museums, workshops such as the Kane Kwei Carpentry Workshop (which make fantasy coffins based on everything from toothpicks to giant fish) and the best lodging and restaurants in the country, the area is also home to Labadi Beach, one of the best and nicest in the country. Although Kakum NP gets less visitors than Mole National Park, this off-the-beaten-path park is home to the only jungle canopy in the country (suspended 30m (98ft) above the forest floor) and is a haven for birdwatchers that come to try their luck spotting some of the confirmed 266 species in the park, including eight species of global conservation concern. You may also find endangered forest elephants, colobus monkeys, and 600 species of butterfly’s. It is also home to the very rare mona-meerkats, buffalo and civet cats. One of the southernmost places in Ghana, Akwidda is a small, relaxed fishing village that is a perfect place for getting away from it all with the country’s best long, pristine white sandy beach. During October to December, this Atlantic Ocean hamlet is also home to endangered sea turtles hatching. In addition to just enjoying the vibe, plenty of watersports are on offer as well as interesting hiking options or cycling along coastal paths, into lush oil palm and rubber plantations and onto Cape Three Points, to see the southernmost tip of Ghana, and enjoy amazing panoramic views atop the lighthouse. The largest man-made lake in the world, Lake Volta is one of Ghana’s most beautiful areas. With a surface area of 3,275 square miles, sailing around the lake can provide a plethora of attractions and adventure tourism is also becoming popular around the Lake Volta, with canoe trips being a particularly popular activity. The imposing Akosombo Dam splits the lake and generates most of the country’s electricity. From Akosombo, ferries can be taken across the Volta and birdwatching is top-notch. This entry was posted on Thursday, October 13th, 2016 at 7:07 am and is filed under Blog. You can follow any responses to this entry through the RSS 2.0 feed. You can skip to the end and leave a response. Pinging is currently not allowed. « Top 8 Things to See and Do in Bangladesh!